Lynda - WordPress: Custom Post Types and Taxonomies | Free eBooks Download - EBOOKEE! 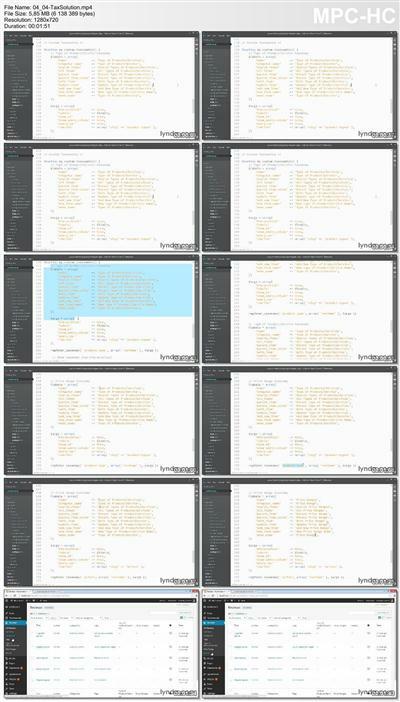 Lynda - WordPress: Custom Post Types and Taxonomies | 319MB Duration: 1h 45m | Video: AVC (.mp4) 1280x720 15fps | Audio: AAC 44.1KHz 1ch Genre: eLearning | Level: Advanced | Language: English In this course, Morten Rand-Hendriksen shows how to create a plugin for new post types and taxonomies, create new post types and taxonomies (hierarchal and nonhierarchal), and build templates that display the custom post types and taxonomies in new and effective ways. By default WordPress has five post types (posts and pages are the most popular), organized using built-in taxonomies like categories and tags. However, you can extend the functionality of WordPress and display different types of content according to your own rules by creating custom post types and taxonomies. 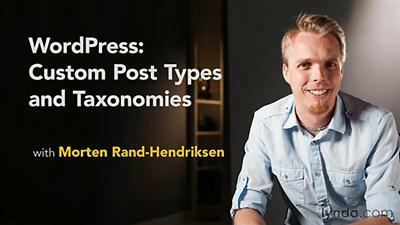 In this course, Morten Rand-Hendriksen shows how to create a plugin for new post types and taxonomies, create new post types and taxonomies (hierarchal and nonhierarchal), and build templates that display the custom post types and taxonomies in new and effective ways. No comments for "Lynda - WordPress: Custom Post Types and Taxonomies".